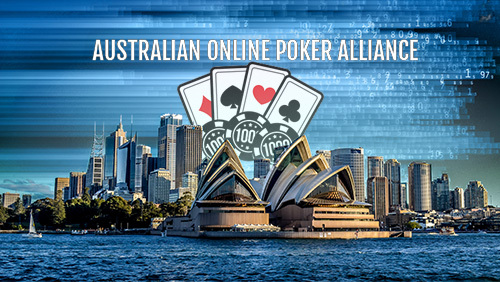 The fight for a safe, regulated online poker market in Australia is picking up pace ahead of federal elections in the country, Australian Online Poker Alliance founder Joseph Del Duca calling on players to “use their vote wisely” when the time comes. Del Duca has been vociferous in his opposition to the 2017 Australian government ban on online poker, which has forced players in the country to turn to ‘black market’ offshore sites – run by unregulated and unscrupulous operators. The Australian Senate passed the Interactive Gambling Amendment Bill 2016 despite the objections of many who pointed out that regulating online poker and separating it from other interactive gambling games had provided clear dividends in many other nations. The result was that partypoker, PokerStars, 888 and many other reputable companies had to withdraw from the Australian market, leaving unregulated sites as the only recourse for online poker players. Del Duca is now calling on “all poker players to use their vote wisely at the next election”, specifically by asking those running for election “whether they support safe, regulated online poker”. This is what the AOPA will be doing, says DEL DUCA, and passing the information onto to its members and players to allow them to vote accordingly. The matter is “too important for us to stop fighting”, Del Duca explained in a press release this week, following the realisation that time was running out for the government to do something positive off their own bat. “Given the short amount of time remaining between now and the next election, it seems unlikely that the assurances we received will be delivered on”, Del Duca explained. “We call on the Government of the day to ensure we live in a free Australia. Hard working Australians who pay their taxes and want to play online poker must be able to do so with the protection of the Australian Government." “Regardless of who wins the next election, the Government must act in the interest of Australia by regulating online poker. This not only provides more revenue to Australia but freedom to Australians to enjoy a hobby they love and the ability to do so in a safe, protected environment."